A dark, ethereal wonder that bewitches and ensnares the listener: Fvnerals' bleak sophomore. The last leaves fall, the days shorten and the perpetually grey skies offer no solace in a bleak, washed out landscape of melancholia. 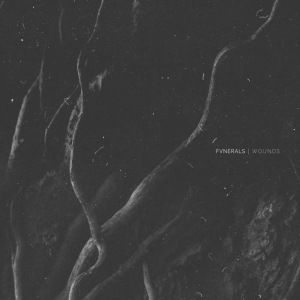 And so, at this bleakest of times, Fvnerals return with their sophomore album, 'Wounds'. Formed in Brighton in 2013, the band relocated to Glasgow shortly after releasing devastating 2014 debut album, 'The Path'. They've since toured the UK and Europe extensively, and released an EP prior to commencing recording of this latest release. And once again, Fvnerals have produced a work of remarkable emotional impact; as bleak as a downpour at a Govan funeral, heavier than a falling tombstone, and with the ethereal beauty of autumn starlight. Beginning with an unsettling drone, opener 'Void' kicks the album off with an oppressive sense of despair and dread. Vocalist Tiffany Strom's synths unsettle, cranking up the tension in this teasing instrumental introduction to the dark delights that follow. 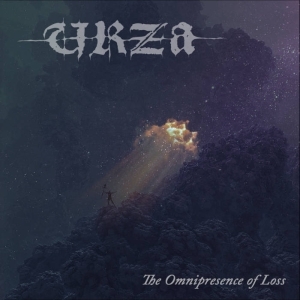 Her vocal, when it comes on title track 'Wounds', is plaintive and ethereal, floating over a relentless Funeral Doom dirge, riff chiming like the grim toll of bells in a Victorian churchyard. Building in intensity, Strom unleashes a bloodcurdling scream as the track draws to a harrowing conclusion. 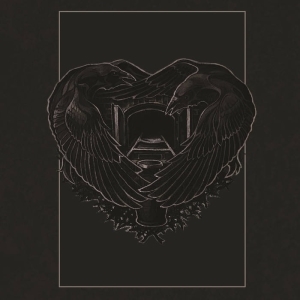 Because Fvnerals' sound draws from many genres to create a unique soundscape that is very much their own, it's incredibly difficult to label or categorise. Funeral Doom, Goth, Ambient, Post-Rock? They're all in the mix, but it would be impossible to nail Fvnerals down to any of those genres, or indeed any other. And perhaps we shouldn't try. Fvnerals just are. 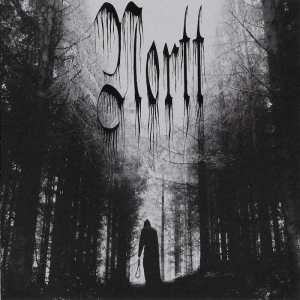 Dark, ethereal and infused with a sadness more profound than any one person should ever have to endure, 'Wounds' is a dark night, day, and indeed full week, of the soul, at no time more so than on the aptly named 'Shiver'. A chilling number that features what is arguably Strom's most haunting vocal on the album, her hypnotic repetition of 'You send shivers down my spine' is laced with desolation as guitarist Syd dredges up a sludgy droning melody devoid of hope, and a forbidding Funeral Doom beat steadily thumps home the sorrow. While often ethereal with a strong Ambient feel, 'Wounds' can certainly pack a punch, too, particularly on the latter part of the album, or side B, depending on your format of choice. 'Crown' is a brutal, grinding assault with a sludgy, distorted riff tuned way down low and dripping with malice, some thunderous drumming, and a despondent wail of 'with this heavy crown you go, you go down'. Despair was rarely articulated so perfectly, or with such fragile beauty. 'Antlers', too, with its slow tempo is a crushing Doom beast; repetitive and bone-shakingly heavy with a riff that smashes the eardrums like a charging stag. Easy listening 'Wounds' is not. It's harrowing, achingly sad and bereft of hope. But nevertheless, it exudes a dark, ethereal wonder that bewitches and ensnares the listener in the forbidding labyrinth of a tortured soul. Compelling and irresistible, it will linger in the memory long after the first buds of spring burst forth next year. The perfect antidote to the saccharine yuletide nonsense that will assault our ears between now and 2017.